I don’t know how I missed this story, but some 23-year-old girl in France was in a supermarket last month and tried to change the bar code on two bottles of Petrus, switching the price of about €2,300 per bottle with €2.50 labels. Apparently label switching is common in France, especially during “foires aux vins” which are these annual wine fairs French supermarkets have. There are so many amazing things about this story. 1) In France you can buy Petrus at supermarkets??? 2) She’s a criminal, but also sort of my hero. 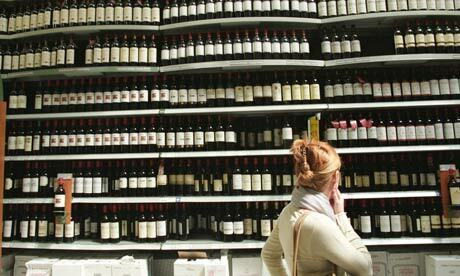 3) They have wine fairs in French supermarkets! And Petrus!!! After my last post we all know how much I love America, but DAMN sometimes the French are so much cooler. But then you read this: the girl, who was Romanian, was released for lack of interpreters. Totally going into Sherry Lehmann and spouting out Romanian words while absconding with a case of Chateau d’Yquem. Tags: petrus wine french supermarket theft. Bookmark the permalink. Previous post ← you deserve a grape today, america!